David Singley brings a natural tension, flexibility and excellence to music that activates performances and transforms recordings. He has a vast knowledge of styles, and knows exactly what’s needed at any given time. His performances are delivered with an authenticity that extends beyond understanding essential elements, melody and time feel. David understands music innately, collaboratively, and in his heart. He allows a personal openness of musical expression that can only be cultivated through experience. As a guitarist he has shared the stage with such jazz luminaries as Bob Brookmeyer, George Shearing, James Moody, Bob Mintzer, Phil Woods, Ernestine Anderson, Paquito d'Rivera, Slide Hampton, Bob Florence, Tal Farlow, and Dave Weckl. His musical collaborations have taken him across North America appearing with Perry Como, Debbie Gibson, Gene Pitney, Idina Menzel, Mary Wells, Debbie Reynolds, Shari Lewis & Lambchop, and many others. Working in the orchestra pit of touring Broadway musicals, he has supported live productions including Joseph and the Amazing Technicolor Dreamcoat starring Donny Osmond, The Lion King, Chicago, and If/Then. His artistry supports a range of performances from commercial jingles to appearances with the Indianapolis Symphony Orchestra, the Minnesota Orchestra, the Minnesota Opera, The Guthrie Theater, The Childrenʼs Theater. He has also appeared on National Public Radio's A Prairie Home Companion. 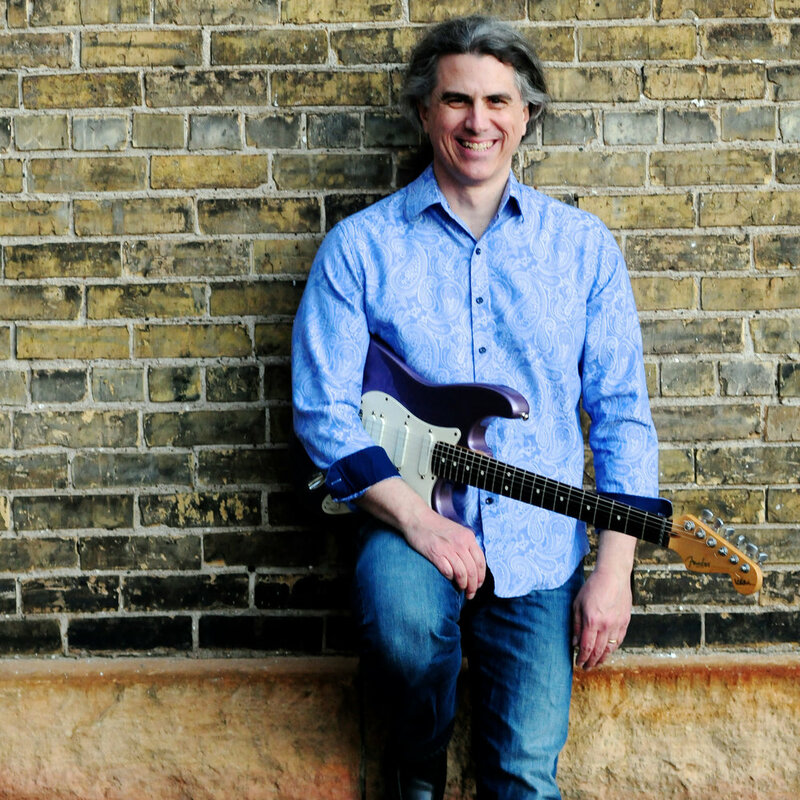 David has appeared on over a dozen jazz albums recorded in the Twin Cities, and has written and produced two of his own records, How My Heart Sings (1997) and Good Hope (2016). He is also a published composer and arranger with pieces for Jazz Ensemble available in the catalogs of the Neil A. Kjos Music Co., Increase Music, and reallygoodmusic.com. In a lifelong pursuit of music, a sense of joy, sorrow, ecstasy and bewilderment can be deeply felt in David’s performances, and perhaps particularly when they are his own compositions. This mournful yet optimistic tenderness can be felt in the fluent string writing in No Goodbyes, and from the resonant guitar that defines a gentle majesty in Good Hope. Each piece leads the listener to embrace an interior sentimental vision of their own emotional narrative. David formerly taught at the McNally-Smith College of Music in Saint Paul, MN and Carleton College in Northfield, MN. He holds a Bachelor of Music degree in Jazz Composition and Arranging from the Berklee College of Music in Boston, and a Master of Music degree in Jazz Studies from Indiana University.